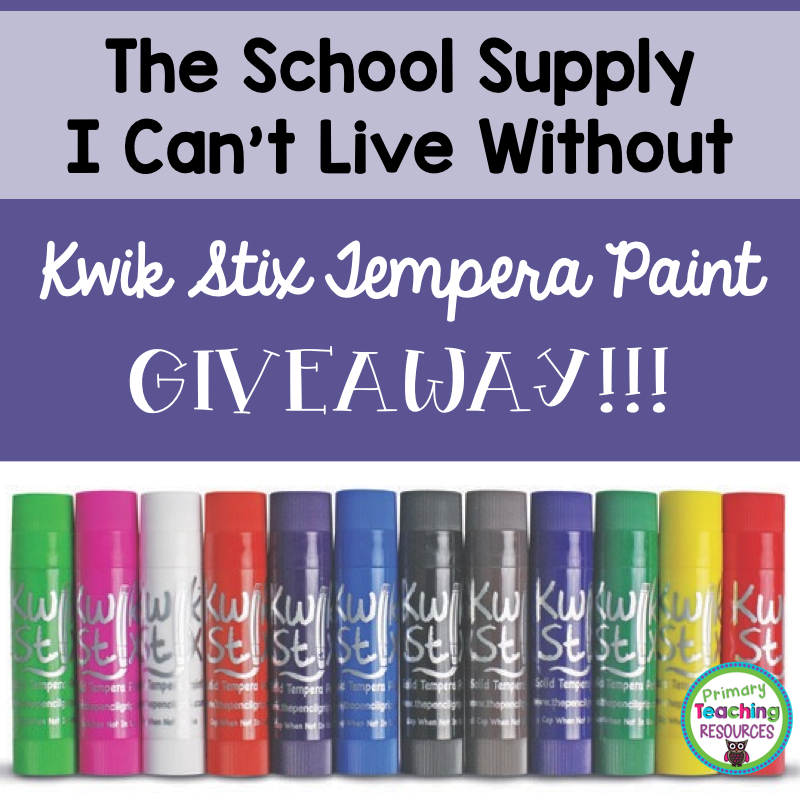 Kwik Stix: The School Supply I Can't Live Without! Every teacher has at least one school supply she can't live without. After twelve years of teaching, I've never been able to settle on just one...until now! I have to admit, I was a bit skeptical when The Pencil Grip, Inc. contacted me about doing a review of their Kwik Stix Tempera Paint Sticks. Could they really be mess-free and fast-drying and still have a vibrant paint-like finish? All it took was one at-home use to turn me into a believer! I brought the Kwik Stix to school the next day, and my fifth graders were in just as much awe as my preschooler had been the day before. Too bad for my students that my daughter asked me to bring them right back home. Kwik Stix resemble a large, unbreakable crayon but glide on paper more smoothly. The paint dries in 90 seconds, which means it doesn't bleed together or smudge when you layer a second colour on top. I can also attest to the fact that it washes easily off skin (and tables) with just a bit of water. 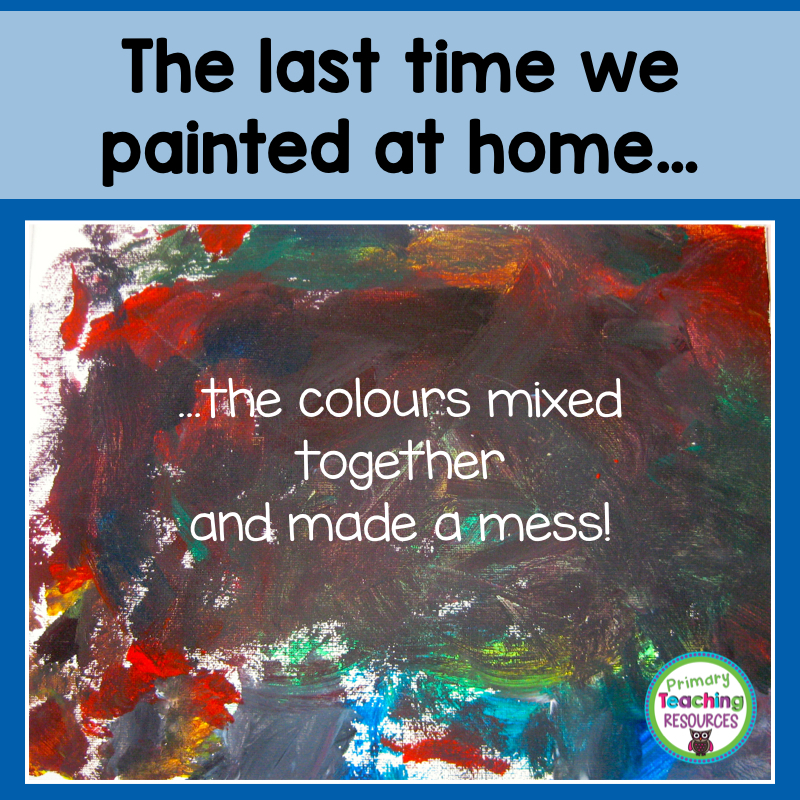 I usually dread painting with my daughter because I can't tolerate the mess. With Kwik Stix, there's no water, no spillage, and best of all -- no stained clothing! 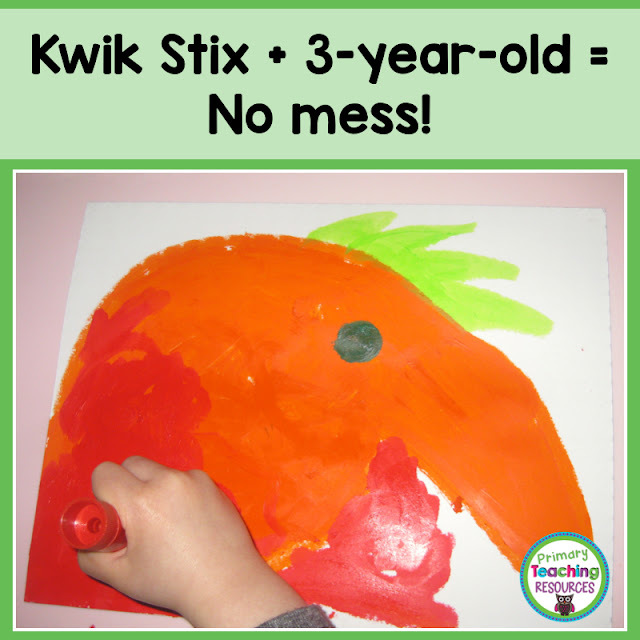 My three-year-old can independently take the Kwik Stix out of the plastic package, pull the caps on and off, and twist the paint sticks up and down. Kwik Stix also make a unique birthday gift that won't irritate parents of small children! We've even brought them with us to use while waiting for our dinner at a restaurant. For a parent of a child who goes through lots of crayons, Kwik Stix are a dream come true. My only criticism is that Kwik Stix don't come in different sizes. Because the sticks are so thick, they don't work as well for small details. However, this is a small tradeoff for making paint use as mainstream as picking up a crayon. There's no way my daughter's letting this pack of Kwik Stix out of her sight, but I can't wait to purchase some to keep at school, too! Now, here's the best part! The Pencil Grip, Inc. has offered to give away prizes to four of my readers! To earn one entry, all you have to do is comment below with your email address. To earn a second entry, please "follow" my TpT store and comment a second time - this time with a link to the product from my TpT store you'd most like to use in your own classroom. I will select four winners on Sunday morning. One person will win a 12-pack of Kwik Stix and three people will win a 3-pack pack of pencil grips! Good luck! 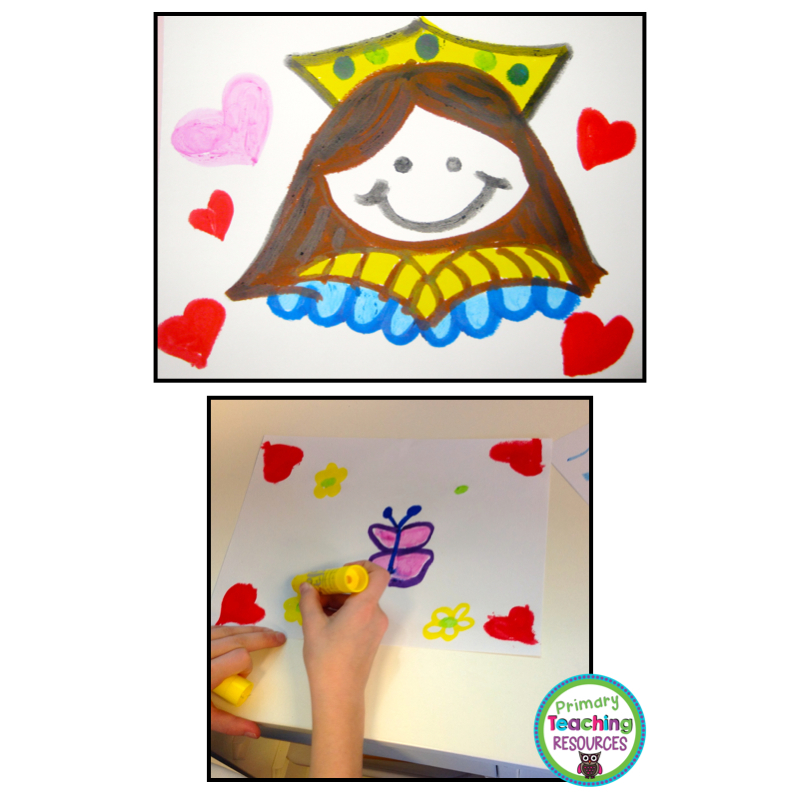 Thanks for sharing with a new teaching supply! Those stix look amazing and I think of many ways to use them in my classroom! The Stix look like so much fun! Thank you for the giveaway! These paint sticks look like a great resource! The Kwik Stix look amazing!! Thank you for the opportunity! Something new to try! Can't wait! Congratulations to all of the winners (announced on my Facebook page this morning)!